I'm Amanda or Collegemakeupgirl on Youtube. 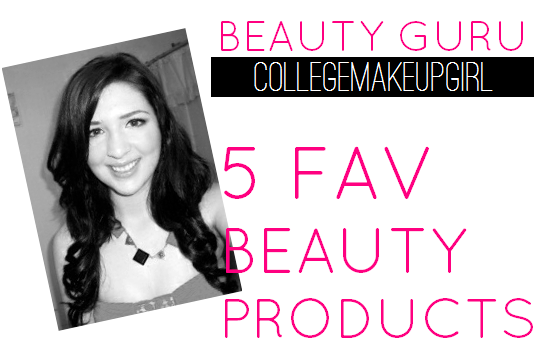 I am a rising junior in college and love all things beauty related. For me, makeup is more of a hobby and passion. I love knowing things going on in the beauty world, from the current trends to what's popular in beauty. I love the interaction I get with my viewers on my videos. I can't tell you how many friends I've made and how many times they've recommended me things I wouldn't have known about or tried otherwise. It's been an amazing experience. I had been watching Youtube beauty videos for about 3 months before I actually started filming my own. I just fell in love with the whole Youtube beauty community and was hooked instantly. I loved watching people get so excited over beauty products like blush and nail polish. I didn't have anyone in my real life who was as obsessed with all things beauty like I am, so it was amazing to find such a community. One day, I just turned my camera on and started filming. It turned out horribly, but I learned from it and was able to improve with time. Laura Mercier Silk Creme Foundation Cream Ivory is my holy grail foundation. I have problematic skin so I need a more full coverage foundation, and this one is by far my favorite. I am currently in love with Milani's blush in Luminous. I can't get enough of it, I've been wearing it non-stop for about two months. Even when I try to change it up and wear something else I always find myself adding it on top. For eyes recently I have been loving both my Urban Decay Naked palette. They really are an amazing investment because you'll realize you can use them way more then you thought you would. I actually neglect a lot of my single eye shadows because it's so much more convenient when every color you need is all in one pallet. For nail polish right now, I am loving neons! They're so fun and perfect for spring. My favorite right now is China Glaze Flip Flop Fantasy. It's an amazing neon pink with coral undertones. I get compliments every time I wear it! As far as hair, I am loving L'oreal Elnett Hairspray. I started using it about a month ago and can't believe it took me so long to try it. It's amazing for keeping the curls in your hair and doesn't make your hair feel crunchy, you can't even tell you're wearing hairspray! What are your favorite beauty products of the moment?